-- Structured style in glossy quilted leather, logo-ed metal trim. Includes authenticity card and dust bag. Previously owned archive product. 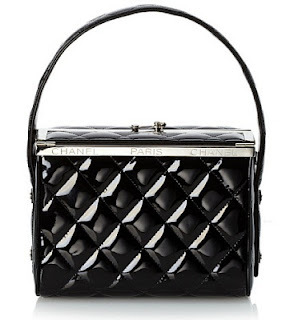 Is there a more prized heirloom than that classic CHANEL quilted handbag once belonging to a grandmother or great aunt? CHANEL is a timeless representation of all things elegant and luxurious, and a vintage piece from the storied label, made somehow better with age and love and old school glamour, might be the ultimate investment piece. This exquisite collection offers rare totes and frame bags—and the opportunity for you to own a beautiful piece of history. If you love Chanel handbags, did you know you can find them on Ebay?